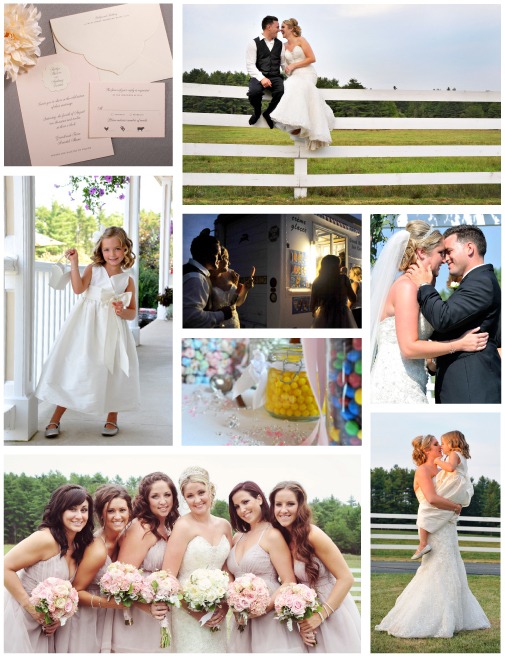 This past August, Katlyn and Anthony Trottier were married at Greenbrook Farm in Arundel, Maine. They chose their William Arthur Blush Pink Wedding Invitation because, “We loved it right away and knew it was the one. Simple but elegant, and the color was perfect,” Katlyn reports. “Anthony’s favorite part was the reply card; the way guest chose their meal by checking one of the animal motifs was so appropriate and fun for a farm wedding.” Katlyn shares more about their wonderful day below. Congratulations, Katlyn and Anthony!